‘It’s all about China isn’t it?’ We look at the changing role of China in the illegal ivory trade, and take a look at history for the long view. 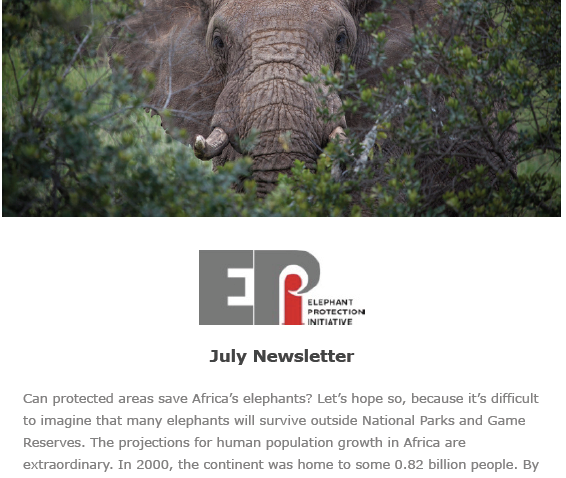 Updates include First Lady Margaret Kenyatta joining the EPI Foundation Board, Ethiopia’s NEAP Coordination Meeting, and Nigeria’s elusive elephants. As we become increasingly aware of the global loss of biodiversity, we look at how elephant conservation can promote environment and species protection. Includes developments in Nigeria and an EPI workshop on securing national ivory stockpiles, highlighting the crucial role wildlife product management plays in addressing the illegal wildlife trade. 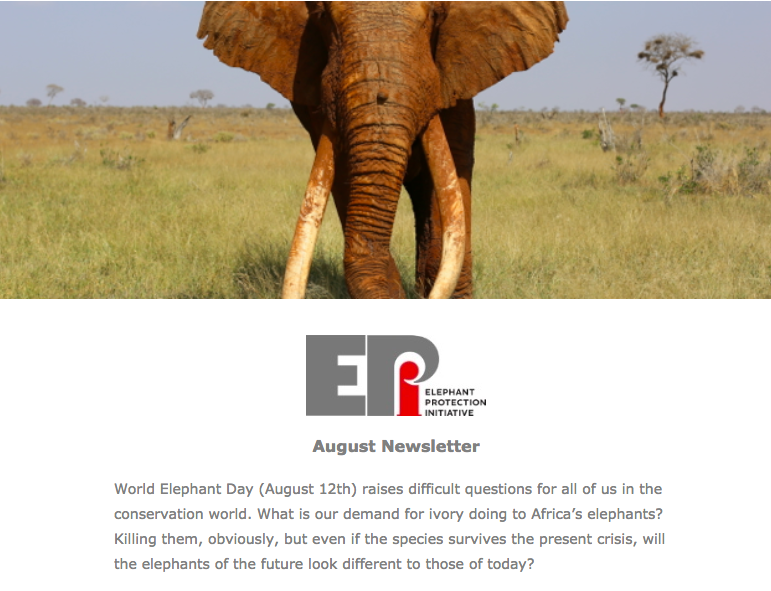 We consider the future challenges facing Africa with ever increasing populations and Human Elephant Conflict, and updates from the EPI supported workshop on wildlife crime in Angola, Stockpile Management System training in Tanzania, and NEAP engagement in Ethiopia. With Christmas approaching, we look forward to 2019 with hope and optimism, as the UK Ivory Bill comes into law. Includes insight into stockpile management work in Uganda and HEC mitigation efforts in Botswana. 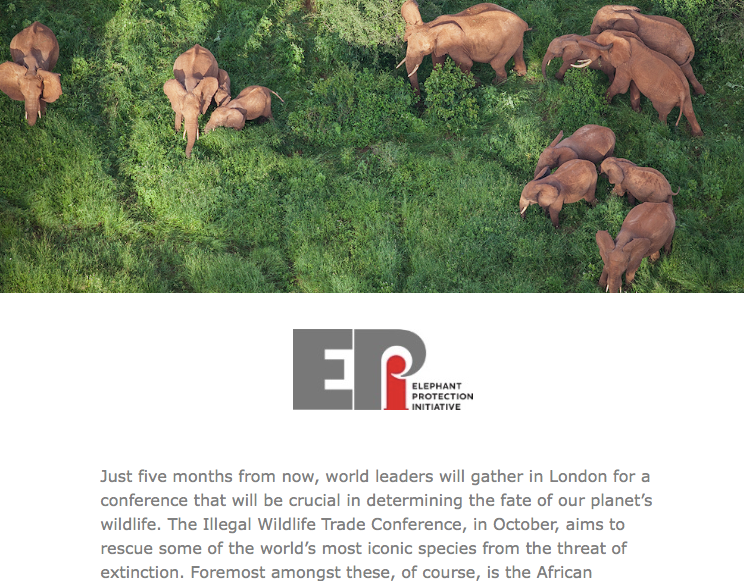 A look at the success of the EPI Consultative Group meeting at the Illegal Wildlife Trade Conference in London and the hope this can give for elephants. With the Illegal Wildlife Trade Conference returning to London, we look ahead to what we want to achieve through the EPI Consultative Group meeting. With updates from Chad and the crucial work of anti-poaching units in unprotected areas, Angola’s wildlife crime ‘hotline’ and the CITES Standing Committee meeting in Sochi. 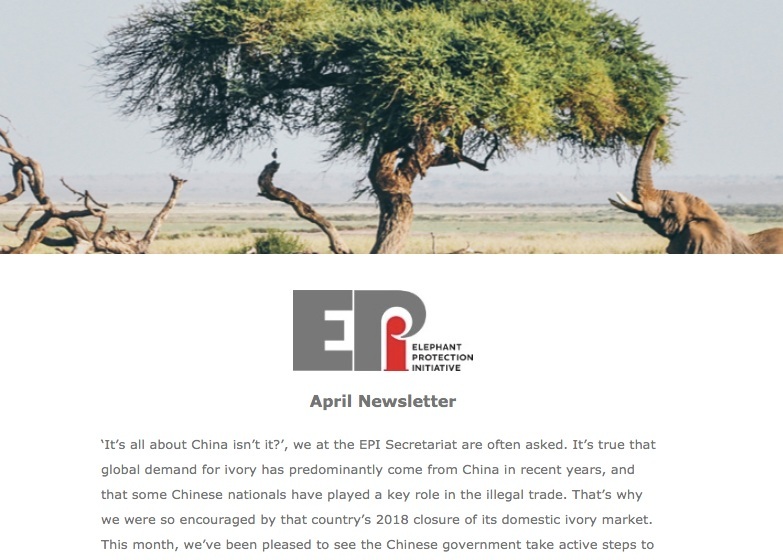 Tackling the big questions facing many NGO’s and updates from Ethiopia on the successful ivory inventory, working with Angola to strengthen wildlife laws amidst recent seizures and kicking off the development of Botswana’s National Elephant Action Plan (NEAP).